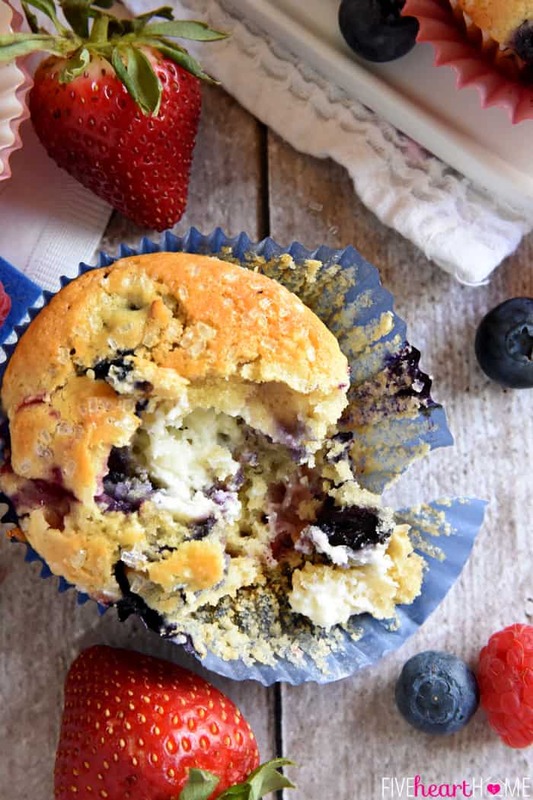 Melt-in-your-mouth Mixed Berry Cream Cheese Muffins are bursting with your favorite juicy berries and swirled with a lightly sweet cream cheese filling. With Independence Day right around the corner, I’m in the mood to infuse my attire, my decor, and my menu with some good ol’ red, white, and blue. And when it comes to culinary endeavors, what easier way to channel those vibrant hues than with some fresh, juicy berries? A couple of weeks ago, I shared a scrumptious Chicken Berry Pasta Salad with Strawberry Balsamic Vinaigrette and some pretty darn cute (if I do say so myself) Patriotic Stuffed Strawberries, both of which would be perfect for any 4th of July shindig. 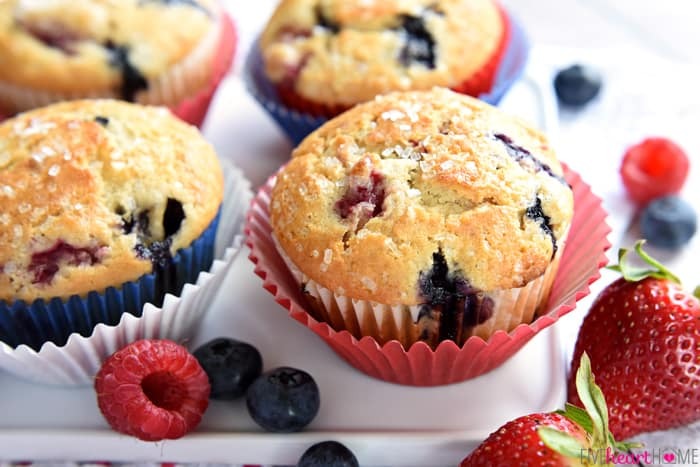 So call me unoriginal, but today I’m replicating the red and blue berry theme with these yummy Mixed Berry Muffins! So we’ve got the red and we’ve got the blue, but you may be wondering…where does the white come in? Never fear, my friends, because these muffins have it covered with a surprise swirl of cream cheese filling! 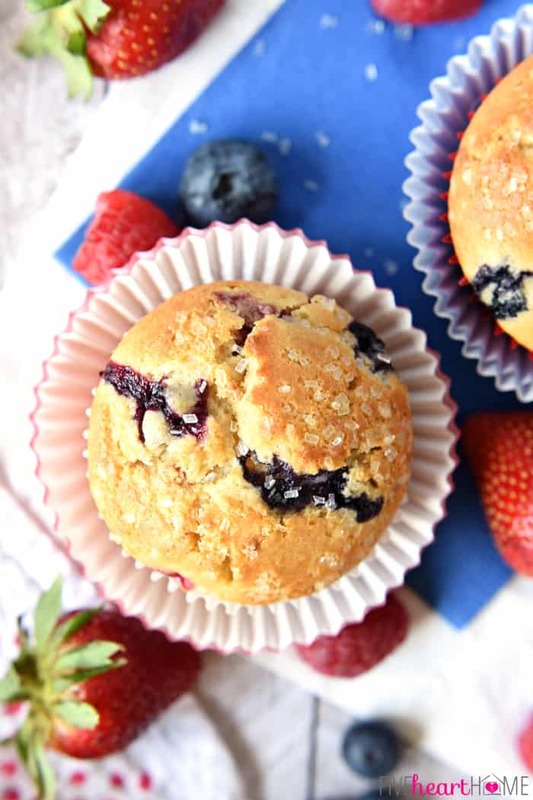 That’s right…when you bite into one of these baked beauties, not only will your taste buds be greeted by luscious bursts of berry, but they’ll also encounter a lightly sweet, delicately decadent filling of cream cheese deliciousness. 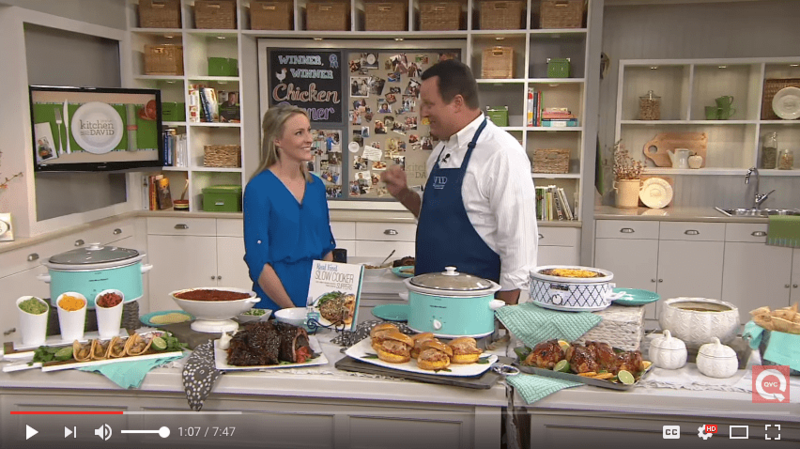 Yep, it’s the W in the RW&B…but it also takes these muffins up a notch or twelve. 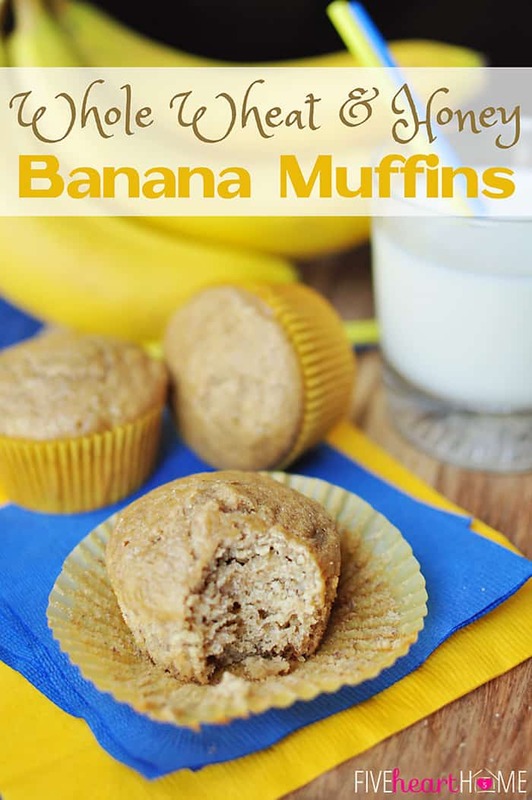 Have I mentioned how easy these muffins are to throw together? I basically just jazzed up my favorite Classic Blueberry Muffin recipe. 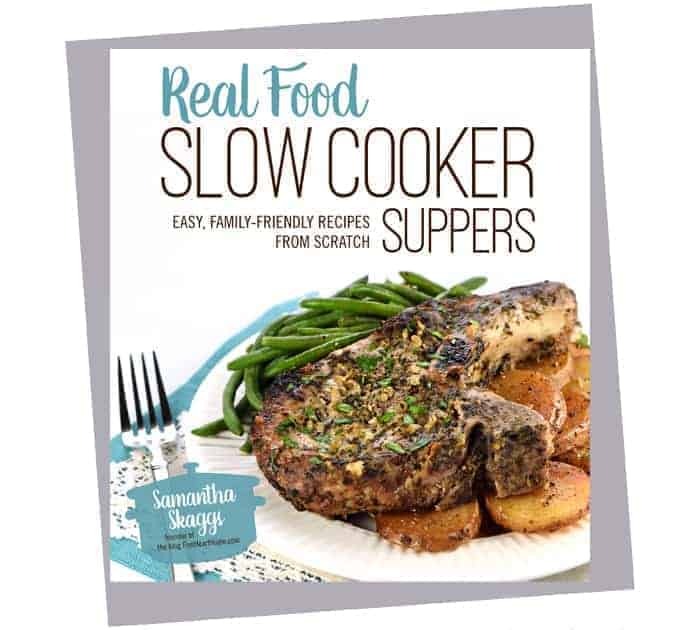 It’s such a simple, delicious recipe to begin with, and I make it year-round using fresh or frozen blueberries. 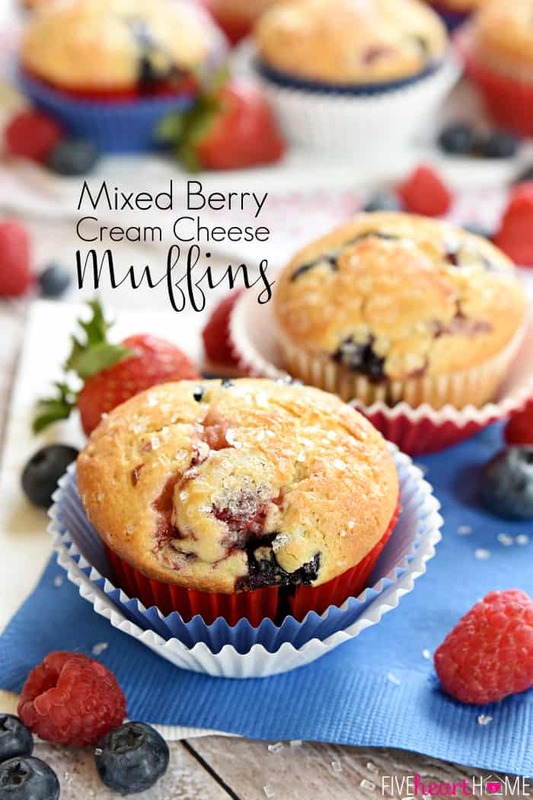 Similarly, these Mixed Berry Cream Cheese Muffins are loaded with juicy berries of your choice, but the cheesecake-like center is a fun, tasty surprise. And while you could certainly top these muffins with your favorite streusel or crumb topping, I decided to keep things simple with a sprinkling of crunchy sparkling sugar. You can’t beat easy, pretty, and sweet! Red, white, and blue? I think I love you. 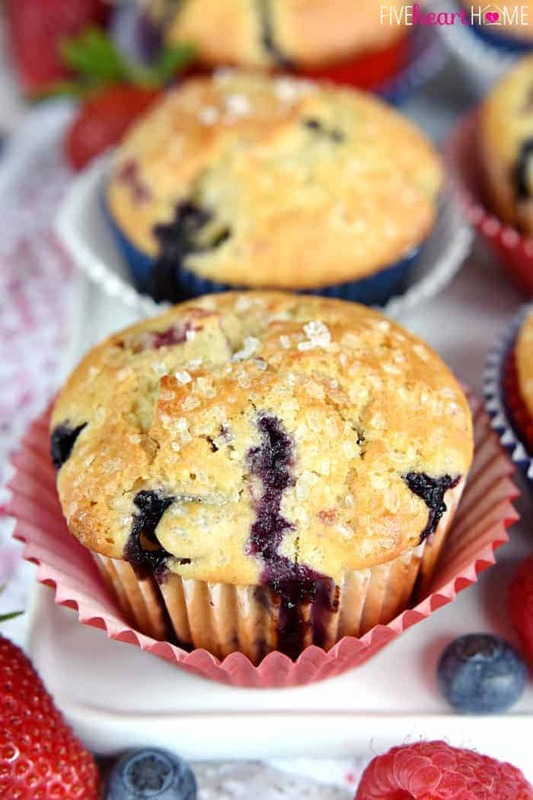 And I love these Mixed Berry Cream Cheese Muffins without a doubt! In a large bowl, whisk together flour, 1 cup sugar, baking powder, and salt. Work in the softened butter with an electric mixer or fork, until butter is in tiny bits, similar to coarse sand. 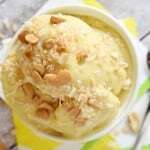 Blend in the eggs, milk, and vanilla until all ingredients are incorporated, but do not overbeat. Gently fold in the berries. 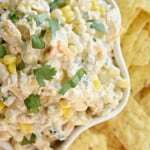 In a small bowl, mix together softened cream cheese and 2 1/2 tablespoons sugar until smooth and blended. Set aside. 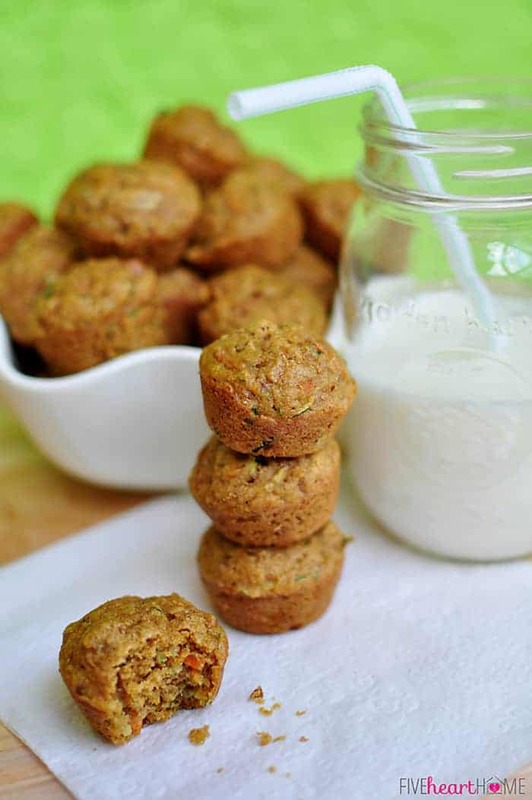 Scoop a heaping tablespoon of batter into each prepared muffin cup, adding just enough that the bottom of the muffin liner is covered. 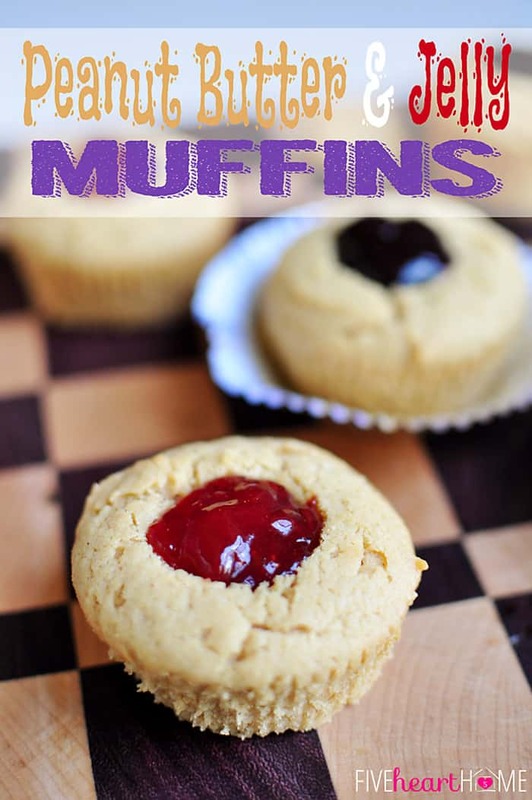 Add a small dollop (about a teaspoon) of cream cheese mixture to the center of each muffin cup. 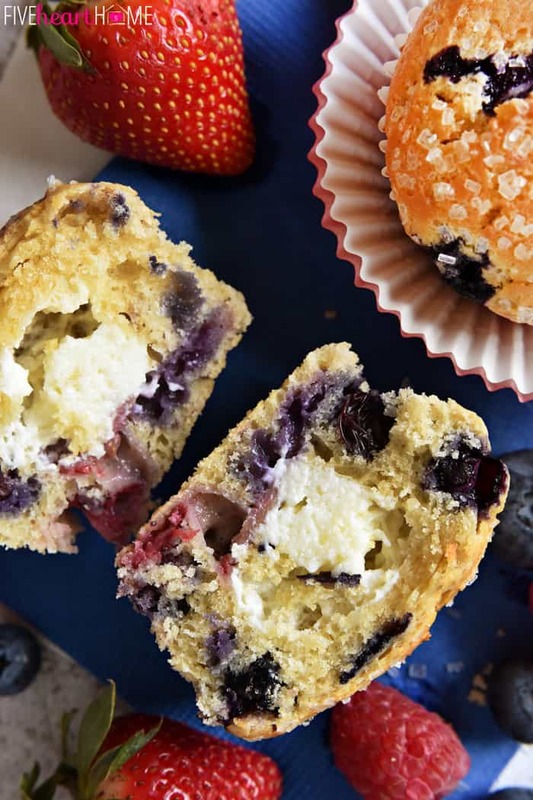 Top cream cheese with another spoonful of batter, evenly dividing the remaining batter between the muffin cups. If desired, sprinkle the top of each muffin with sparkling sugar. Bake for 20 to 25 minutes or until muffins just test done with a toothpick, taking care not to overbake. 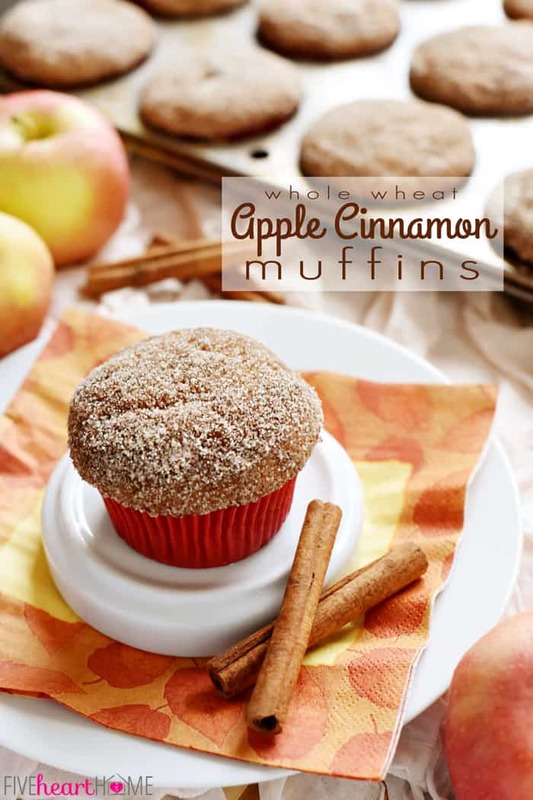 Remove muffins from pans and cool on a wire rack, or eat warm out of the oven. I've had good results baking this recipe with both white flour and whole wheat pastry flour, or a combo of the two. Whole Wheat Pastry Flour is 100% whole wheat, but it lends quick breads a lighter taste and texture, more akin to that achieved by using white flour. 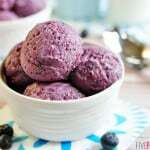 If you use frozen berries, don't thaw them first....doing so will just make them all mushy. 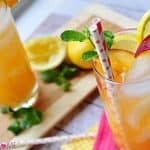 This recipe was originally shared as a guest post at Simple As That. I love this time of year when it comes to yummy treats, filled with berries of all kind! I don’t love this time of year when it comes to the weather. These look tasty, and festive! I love how you used cream cheese as the “white”. I totally agree, Joanna…but at least the fresh produce makes the heat wave a bit more tolerable. 😉 Thanks so much for your thoughtful comment..hope you’re having a great week! Thanks so much, Eric! These don’t last long at our house. 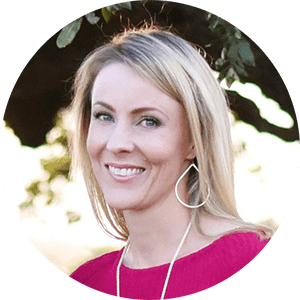 😉 Hope you’ve been doing well…I appreciate you stopping by! Hi Mary! I think these muffins can be left at room temperature for a couple of days. After that, I’d probably refrigerate them to keep them fresh. Hope that helps!